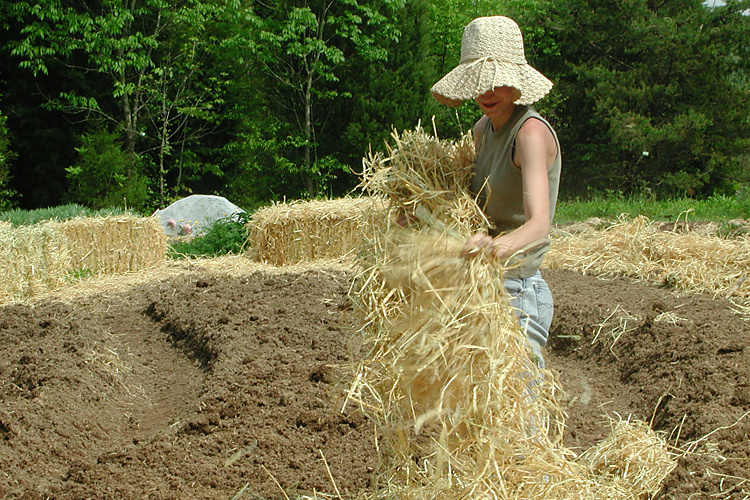 10a - Mulching - Perelandra Ltd.
the microbial activity in the soil. 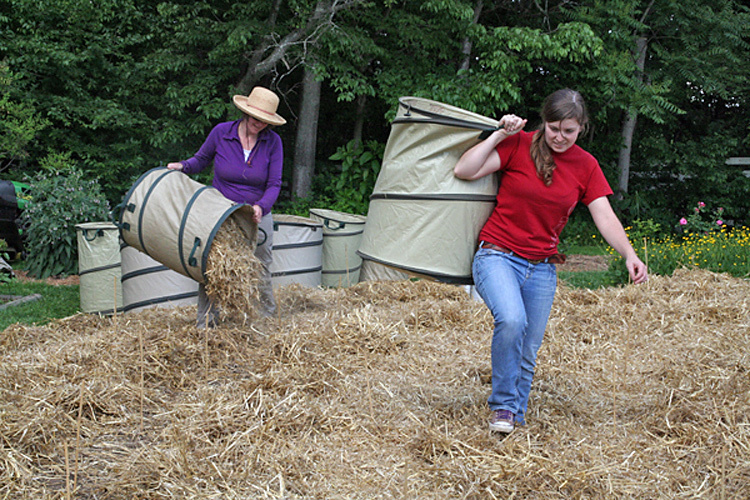 Loads of straw piled up to 18" deep has helped our main garden thrive through many a drought. 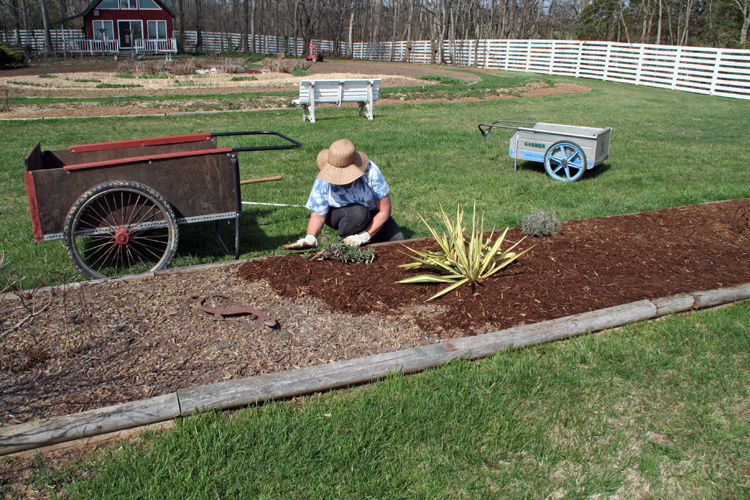 Other areas are mulched with shredded hardwood.